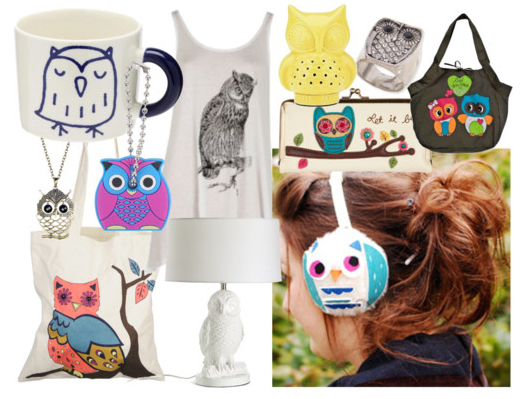 They might be a bit overdone, or maybe they aren’t even trendy anymore, but I totally crush on owl things! I got a few owl-y things for Christmas so I’m working on a pretty substantial collection. I just think they are so cute! I want that tank and that lamp! I am a HUGE fan of all things owl, even if they are (were?) over-the-top trendy right now. Owl things and lizard things – I can’t get enough!